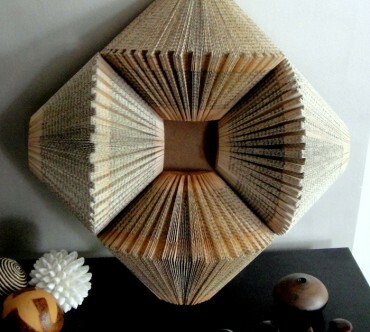 Banoo Batliboi is a self-taught paper artist who is impassioned about creating ‘book art’. She works with old, abandoned books which have served for many years in their conventional form as a vehicle for narrative ideas. Now, by shifting focus to the tactile and visual qualities of the book, she imagines an alternative interpretation. 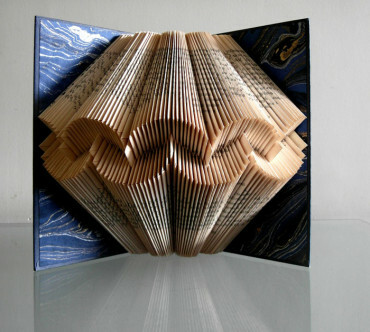 Ask her what inspired her to create these intriguing works and she says, “When I first I saw a book with folded pages I knew immediately that it was what I wanted to do. 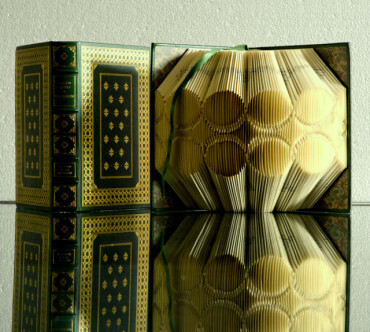 Vintage leather-bound books folded anew. 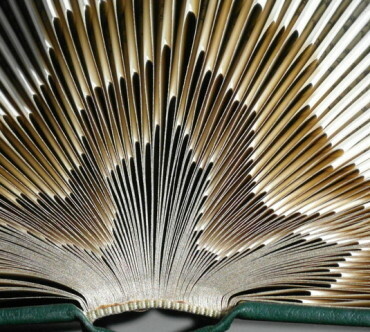 Art Photography – ‘unreal’ portraits of books. 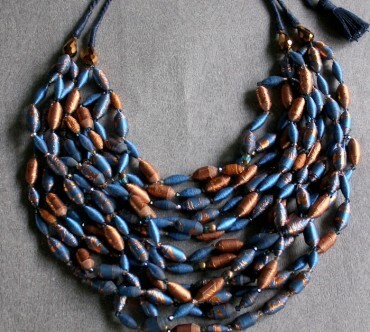 Artisanal paper beads mingled with stones. 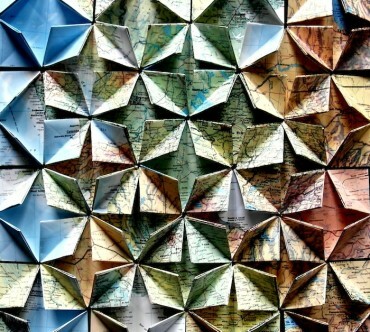 3-D mosaic artworks of folded maps.